In Gail Sheehy’s book, Circle of Care: Turning Chaos into Confidence, she discusses the importance of forming a circle of care when taking on the role of a caregiver to a loved one. Life Transitions endorses this philosophy as you approach caregiving. Caregiving can be one of the most intimidating experiences. Responsibilities increase, family dynamics shift or conflict, challenges arise, and roles change. Couple these challenges with finding the best care options for our aging loved ones and the task can quickly become daunting. 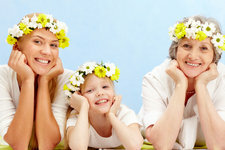 Finding the right support when you are a caregiver is necessary to success. Our experience in supporting caregivers will fill the gap in the cirlce of care surrounding you as a caregiver. Life Transitions has valuable experience to bring to the table to help make your life easier. Our goal is to find the options needed whether it be care or resources for professional assistance. By using our experience you will save time and effort by receiving streamlined options that are a good fit. 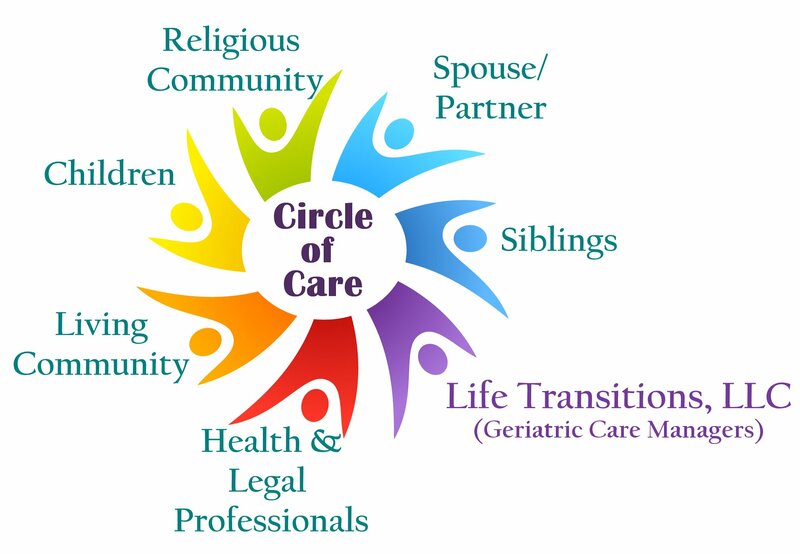 If you would like a professional and experienced professional care manager to help fill the missing piece, in your circle of care, Life Transitions is ready to help you. Contact us now to discuss your situation to see how we can help.